Please fill out the following fields to receive the guide by email. Thank you! We have just sent you a confirmation email. Please open the email and click on the confirmation link so that we can send you your guide. If you don't see the email please check your spam, junk or promotions folders. Enrolment has closed for the January 2017 session, but we will be back soon! Thank you! We'll be in touch soon! This post is for anyone with skin conditions, like acne or eczema, but also for anyone that feels like their skin is looking a little dull and could use a little more glow! You can catch the quick version on this morning’s CTV segment here, or keep reading for the full version. The good news: Your skin health is a direct reflection of what’s going on inside. The bad news: It can feel confusing to figure out what’s going on inside to fix it. What shows up on your skin is usually a sign of something going on inside. Now, with some things, like eczema, it can also be a sign of something on the outside that your skin isn’t loving (a chemical or an allergy), but a lot has to do with the insides. Let me explain. With these answers, you can take steps to remove the trigger or balance out the hormones, if need be. 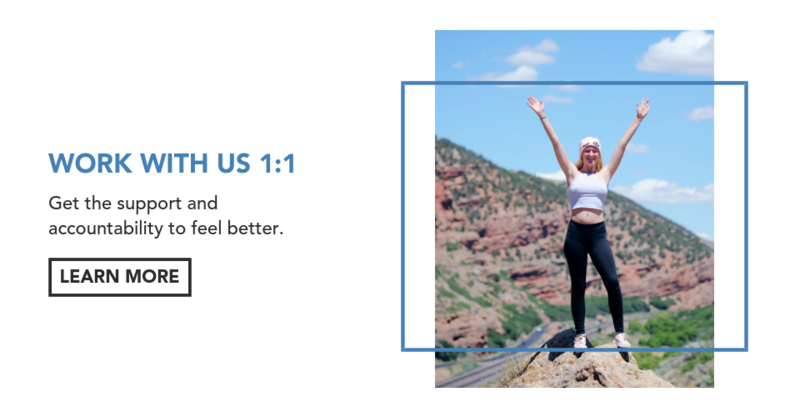 When it comes to acne, studies show that supplementation with Omega 3 fatty acids (an essential fatty acid, meaning your body does not produce it, so you must get it through diet) for 10 weeks, provided a significant reduction in breakouts. Salmon is an amazing source of Omega 3s, along with freshly ground flaxseed too. Keep in mind that you have to be eating a lot of salmon to get the required intake, so I also recommend you take an Omega 3 Fish Oil. My favourite brand, and what I take is NutraSea with Vitamin D.
When it comes to eczema, preliminary studies also suggest Omega 3s to be useful for alleviating the condition. Evening primrose oil, high in gamma linolenic acid (GLA) is also shown to be beneficial, but you would want to speak to your health care practitioner before incorporating this. For the Herb Crusted Salmon recipe I shared on TV, click here. When I went to Portugal a couple of years ago, they always bring olives before the meal. Adam and I ate what felt like our body weight of olives, but LOVED them, and our skin had a noticeable glow. When it comes to buying olive oil, this is a great post here on how to choose a good quality one. To close off, remember that expensive and/or prescription creams are a bandaid solution, and are not getting to the root of the issue. If you’ve been told there’s nothing you can do, keep looking for solutions. Book a complimentary time to chat with me about your skin here. 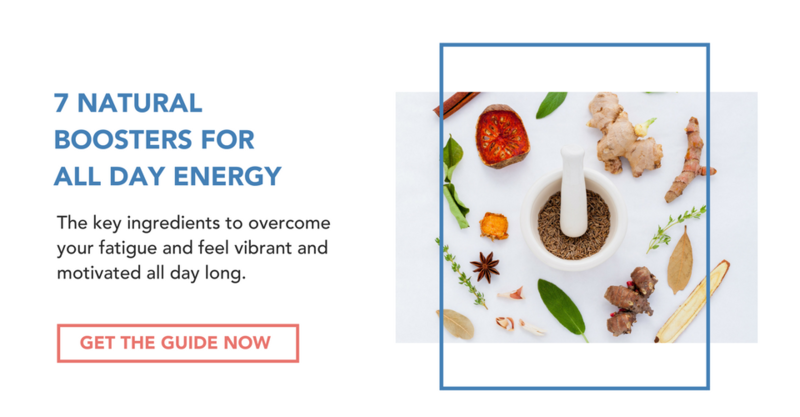 The key ingredients to overcome your fatigue and feel vibrant and motivated all day long. 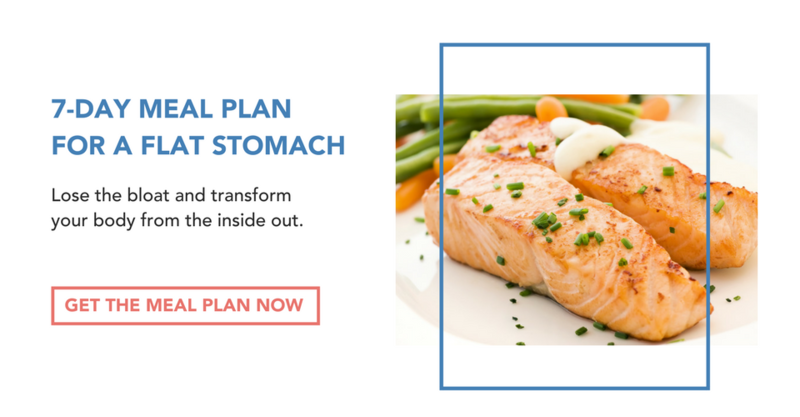 Lose the bloat and transform your body from the inside out. Save Time. Eat Better. Feel Amazing. 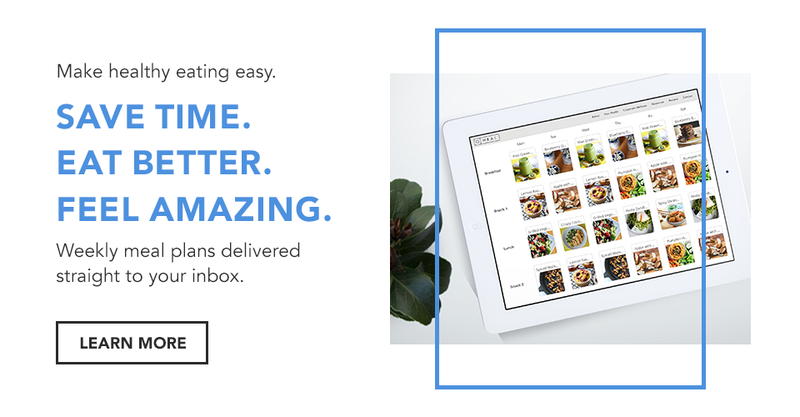 Weekly Meal Plans delivered straight to your inbox. 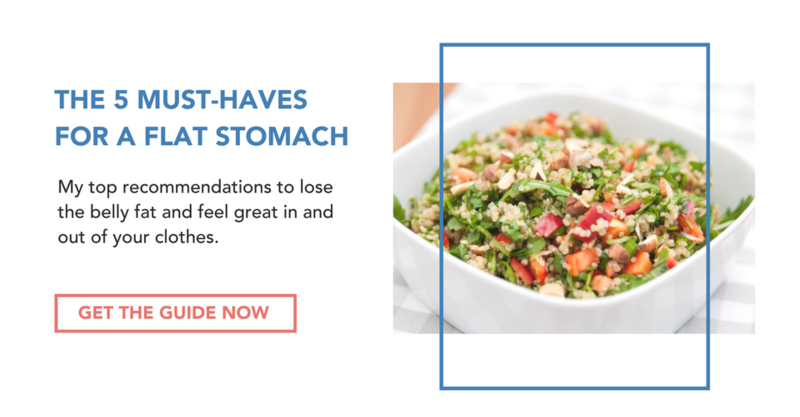 My top recommendations to lose the belly fat and feel great in and out of your clothes. Thank you! We have just sent you a confirmation email. Please open the email and click on the confirmation link in order to complete the sign up process. If you don't see the email please check your spam, junk or promotions folders.